Eristoff, the vodka brand, has created a free iPhone app using Facebook Places, which helps users stay in touch with their friends at Snowbombing, the week-long music and winter sports festival in Austria. Eristoff, which is one of the official sponsors of the April festival, is looking to target its core 18- to 24-year-old male spirit drinkers with the Snowbombing Guide 2011 app. The app allows users to check-in via Facebook Places to find where their friends are located and win prizes. It has an up-to-the minute schedule for all events and artists with a "what's on now" and "what's on next" feature. Mark Holdsworth, marketing controller for Eristoff Vodka, said: "Our sponsorship of Snowbombing is a perfect partnership as it gives us the ability to tell our brand story and bring out innovations, like our aggregation of Facebook Places within our festival guide." 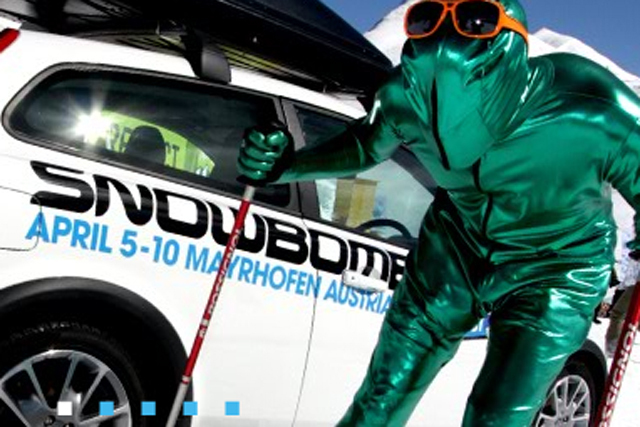 Volvo is the main sponsor at Snowbombing 2011. Other sponsors include Metro and online travel agent Beoutgoing.com. Facebook rolled out Places to the UK in September 2010, a month after it was launched in the US. It allows users to announce their presence at real-life locations, and enables advertisers to target deals to customers. Earlier this month (7 January), Lionsgate, the film distributor, rolled out a Facebook Places campaign to promote the forthcoming launch of its film 'Drive Angry 3D'.